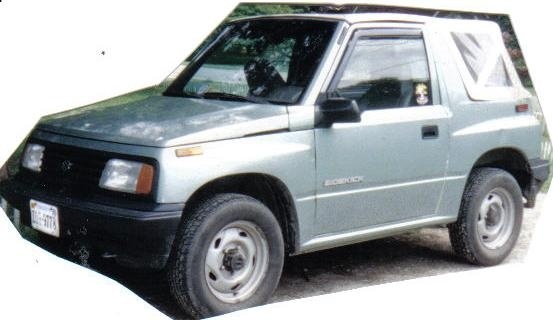 Have you driven a 1990 Suzuki Sidekick? 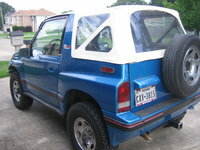 Displaying all 4 1990 Suzuki Sidekick reviews. 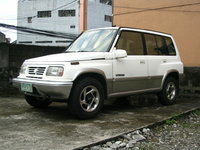 Suzuki — Convertible is cool but that's about it... Really bumpy, hard suspension The car is really fun to drive especially in the sand especially with the 4 wheel drive and taking off the top is always good. It has bad fuel efficiency for me. Looking for a Used Sidekick in your area? CarGurus has 10 nationwide Sidekick listings and the tools to find you a great deal. Just Got It, But I Drove 1800 Miles To Bring It Home, It Did Great Except When Passed By 18 Wheelers — I drove it from Illinois to Arizona and it did great except when passed by the 18 wheelers on I44 & I40, I was comfortable at 60 MPH. It has 118000 miles on it and only burned abou 1/2 qt of oil on the trip. 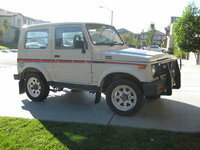 We plan to tow it behind our Motorhome and should have great fun exploring off road with it. Lot Of Durability, On And Off Road. — Great ride, moderate on gas. 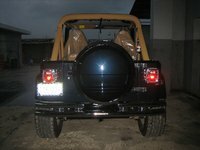 Great for off road adventures and on road travel. Pros: Big tires, all terrain vehicle.